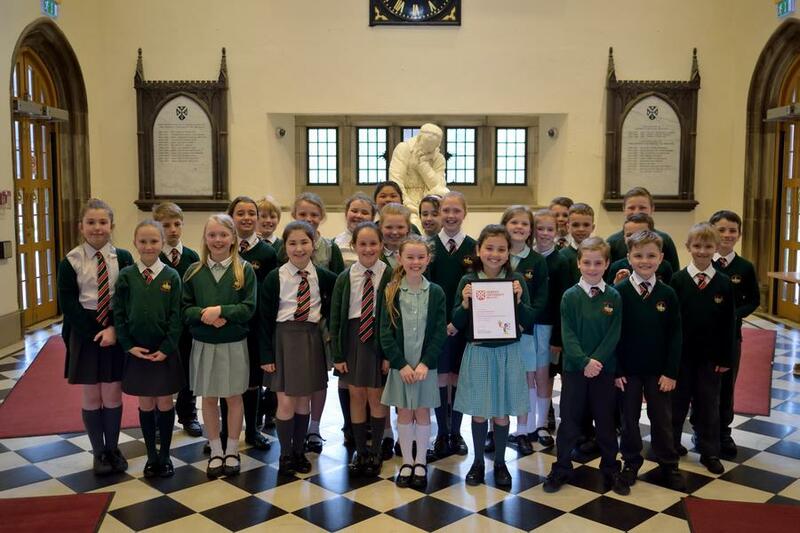 A class of Primary 5 pupils travelled to Queens University to participate in a Primary Science Health Conference. Beforehand the pupils had welcomed Dr Michael Stewart into their classroom on several occasions to learn more about how plants produce their own food at different rates depending on different colours of light. 8 pupils volunteered to present the class’s findings at Queens and all pupils enjoyed the experience of listening to other schools’ research on scientific areas. They also had the opportunity of having a tour of the laboratories and observing scientists at work. The visit finished with a lovely lunch in “Hogwarts Hall” and a presentation of the certificate of participation.